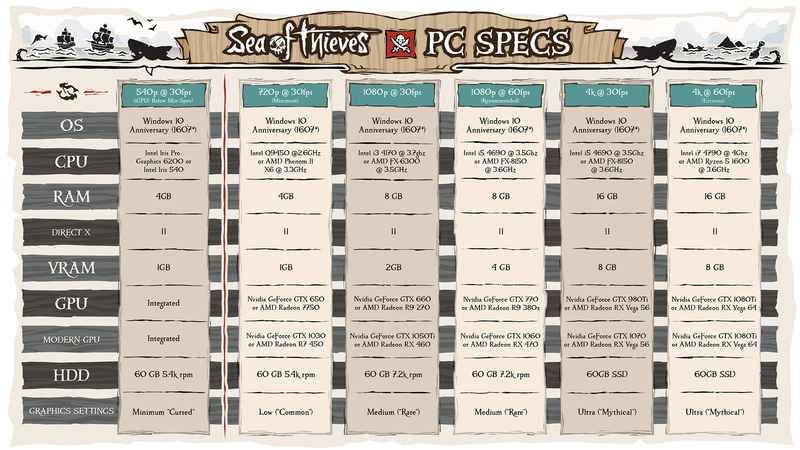 As the release date for Sea of Thieves fast approaches, Rare has finally let PC gamers in on the specs for their new game. It turns out, there are a lot of them. Their version though goes beyond simple minimum and recommended specs. They went on to detail how the game would play on a variety of different set ups, from very basic to the most tricked out of gaming computers. The game will run and run decently on even lower tier Windows 10 PCs. 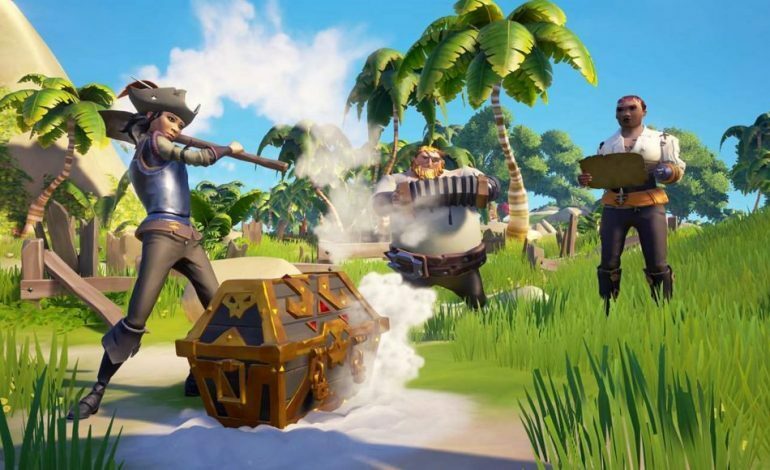 One of the reasons for this is that Sea of Thieves will be part of Xbox Play Anywhere, Microsoft’s program that allows console gamers to play that title on either their Xbox or their PC. Since most gamers have either a high quality PC set up, or a console, Rare wanted to make this program more accessible by ensuring the game would run on most PCs. He guaranteed that it will never be “pay-to-win,” an announcement sure to ease the minds and wallets of PC and Xbox gamers alike. A full post about the new specs is available on the Sea of Thieves website. Sea of Thieves comes out on March 20.